Dr. Lisa Little is a native of Southern California, practicing in the San Fernando Valley since 2007. 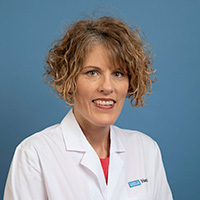 Dr. Little earned her medical degree at Ross University School of Medicine in New York and completed her internship at Geisinger Health System in Pennsylvania. She completed her residency in Ob/Gyn at Southern Illinois School of Medicine in Springfield where she served as Chief Resident and received numerous honors for her ovarian cancer research.